Growing up, my dad's staple party trick was to bake chocolate chip cookies from scratch. They were delicious!... And quite unhealthy. What was in it? I'll give you a hint: loads of processed sugar and margarine, to say the least. Let's just say this treat wouldn't pass the test for basically any modified diet out there. 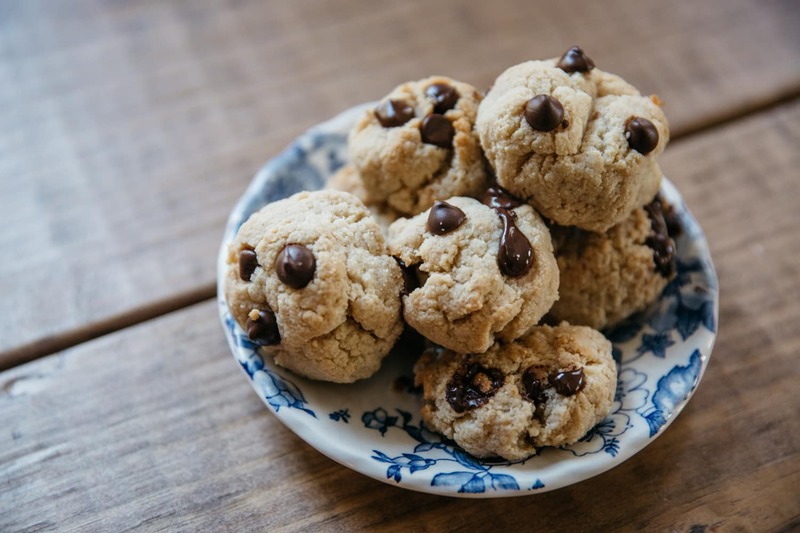 While I don't eat them anymore, I'm still a huge fan of his chocolate chip cookies, and in lieu of his recipe, I recently discovered another brilliant cookie recipe that is actually nutritious for your body! Mix the almond flour, seat salt and baking soda in a food processor. Add the butter/oil, honey, and vanilla in gradually until the dough forms. Remove the blade from the food processor and stir in chocolate chips by hand. Spray your baking pan with coconut oil spray. Scoop up the cookie dough one Tbsp serving at a time onto a baking pan (if you have parchment-lined paper then that works too!). Press the cookie dough balls down gently (like little flat disks). Bake the cookies for 6-8 minutes. Let them cool for 15 minutes (wait for them to cool before you pick one up).